Galaxy Note 10 rumors are running wild and killer deals on the Galaxy S10 lineup have been piling up since Samsung's newest flagships went official less than a month and a half ago, but oddly enough, we can't say the same about the older and (technically) less appealing Galaxy Note 9. This was massively discounted by B&H Photo Video a couple of weeks back in a 512GB configuration, but otherwise, we haven't seen many great promotions offered by trusted retailers on the heels of the S10 family launch. That changes today with not one and not two, but three special offers spotted at top-rated eBay sellers. First, there's Sobeonline1, a self-proclaimed "pioneering e-commerce company" with 98.6 percent positive ratings in the last 12 months, which charges $629.99 for "brand-new, unused, unopened, and undamaged" items in their "original packaging", available in your choice of three paint jobs - black, blue, or alpine white. 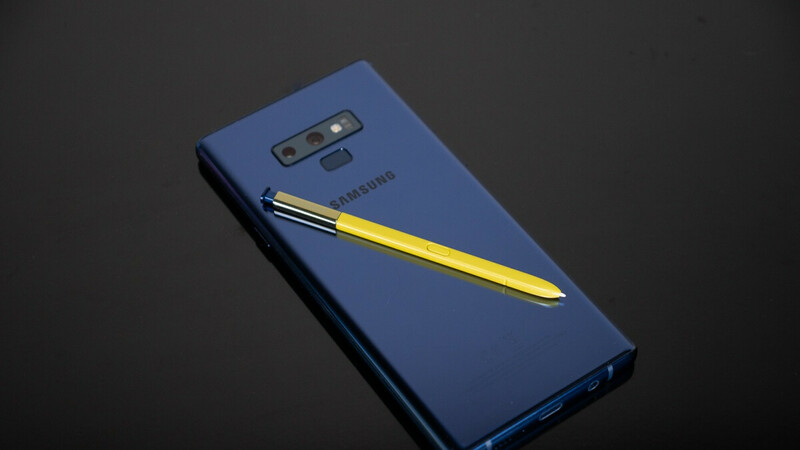 Meanwhile, an open box Galaxy Note 9 in a "grade A" condition, with "minor cosmetic imperfections such as scratch from handling", is up for grabs from Qualitycellz at only $599.99 in an Ocean Blue color. That's a 99.9 percent positively rated eBay merchant, mind you, which vouches for the near-flawless cosmetic state of this heavily discounted device, as well as its impeccable functionality. Last but not least, Bidallies is selling what it describes as "B+ stock items" in refurbished condition for $529.95 a pop with Sprint support only. This is different from the other two deals, which involve GSM unlocked units you can use on AT&T or T-Mobile, but not Verizon or Sprint. On the bright side, since this is a US-specific model, it packs a Qualcomm Snapdragon 845 processor instead of the "international" Exynos 9810 chipset. Keep in mind that none of these three sellers can hook you up with a valid US warranty, but for what it's worth, you do get free nationwide shipping and free 30-day returns across the board. Meanwhile, if you're wondering what kind of savings you're looking at here, let's just say they're big. Samsung, for instance, typically charges $999.99 on its website for the unlocked 128GB Note 9, currently offering a $200 markdown of its own. Cop myself the alpine white.